CASAC has embarked on a campaign to promote public participation in the selection of seven new members of the South African Human Rights Commission (SAHRC). The SAHRC is one of eight institutions provided for in Chapter Nine of the South African Constitution, and its members are appointed by Parliament. The selection process is being managed by the Portfolio Committee on Justice and Correctional Services, which will undertake a preliminary selection process and recommend seven candidates to the General Assembly. Eighty people have applied, or have been nominated. Of those, 30 are women. CASAC is encouraging members of the public, civil society organisations and other interested parties to submit comments about and / or objections to these candidates. The deadline for submissions is Friday 30 September 2016. Submissions can be sent to Mr Vhonani Ramaano, Secretary of the Portfolio Committee, at vramaano@parliament.gov.za. The Portfolio Committee has asked those who submit comments to disclose their identity, as a means of authenticating their submissions. Submissions can also be shared with CASAC on info@www.casac.org.za. The Committee will start the short-listing process on 5 October, and short-listed candidates will be interviewed on 13 and 14 October. The names and CVs of all 80 candidates have been posted on the parliamentary website. To access this information, click here. CASAC is taking an active interest in the selection of seven members of the South African Human Rights Commission (SAHRC). 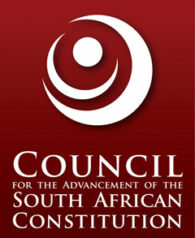 In a media statement issued on 20 September, CASAC initially expressed concern about the way in which the Portfolio Committee on Justice and Correctional Services was processing the nominations for filling the vacancies, saying the undue haste with which the process was unfolding would detract from any meaningful public participation in the selection process, as envisaged in section 59(1) of the Constitution. Nominations had closed on Friday 16 September, and the Committee intended to meet on Thursday 22 September to shortlist candidates. The Committee intended to publish the list of nominees by Thursday 22 September. This would leave members of the public and civil society organisations with less than 48 hours in which to consider and comment on the nominees. However, in a further media statement released today (22 September), CASAC welcomed an adjusted time frame agreed by the Portfolio Committee for filling the seven vacancies, as this would now provide a suitable opportunity for public participation. The Committee had received 80 nominations for the seven vacancies. Their names were due to be released on the same day (22 September), and the public was invited to comment on their suitability. The deadline for comments would now be Friday 30 September. CASAC intended to make a submission to the Committee. The Committee would then meet on 5 October to shortlist between 15 and 21 candidates, and would interview them on 13 and 14 October. For the complete statements, see the media statements section.